Connectors and Adapters are important components in fiber optic connection system. 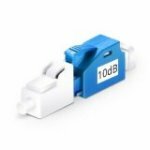 They are precision devices that connect fibers together with low coupling loss. 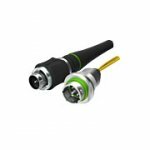 Fiber-Mart offer a full line of fiber connectors and adapters to meet the growing demand for small form factor, high-density fiber optic connectivity with simplex, duplex, single-mode and multimode options. All fiber optic connectors and adapters from Fiber-Mart are optimized for both indoor and outdoor applications with highest mechanical and thermal specifications.